Welcome spring with these seasonal printables! Featuring sweet sayings and versatile motifs, this set of digi stamps can be used for a multitude of makes. Wish someone happy birthday in springtime, send best wishes to a green-fingered friend and more. 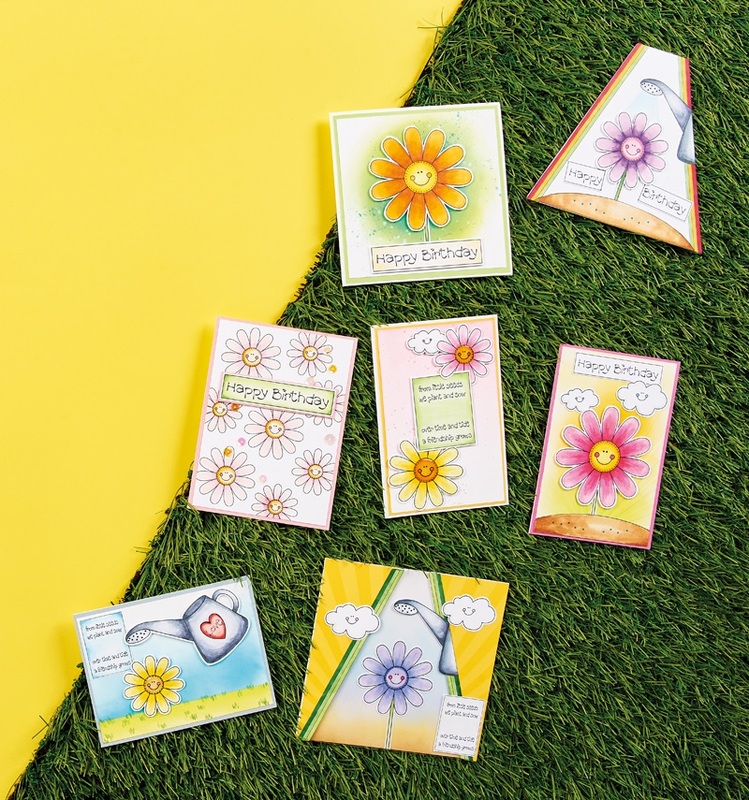 Claire Richards has created seven cheery cards to show you how it’s done. Simply follow our four-step guide below on how to download your digis, then start getting creative with our top tips. 1 Press ‘Click here to download now’ then log in – or register if you don’t currently have an account with us. 2 Click ‘Download now’ and you’ll see the download processing at the bottom of your screen. 3 Open the folder, then right-click on the file and select ‘Print’. 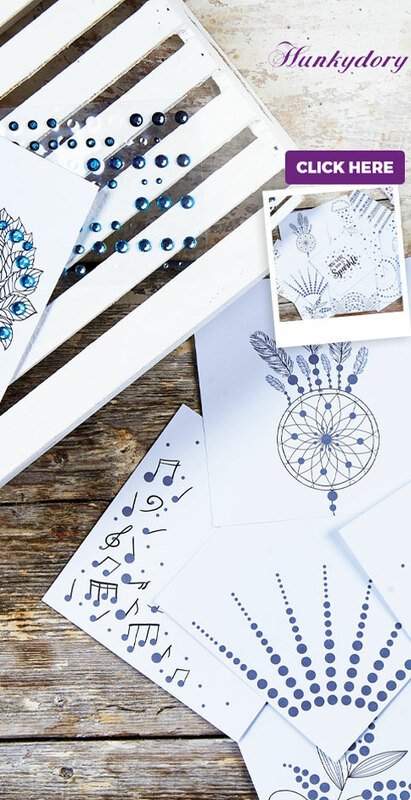 Once your designs are printed, get your favourite colouring pens, pencils or paints. The choice is yours! Claire has opted for her trusted alcohol markers. If you note the petals, you’ll see how she’s put a deep colour towards the middle of the flower, ensuring the shade gets lighter towards the tips. This will make the finish far more professional, so why not give it a go? Enhance the theme of these digi stamps by teaming them with coordinating craft supplies. Claire has used a sun rays embossing folder on the large pink flower greeting, and it sets the scene perfectly. Simply apply distress inks to white card – use green towards the bottom and blend up into yellow – then place the card inside the embossing folder and run through your die-cutting machine. From here, add soil, a large flower, clouds and a sentiment using your sheet of digi stamps. Claire has incorporated a bit of shimmer in numerous ways. 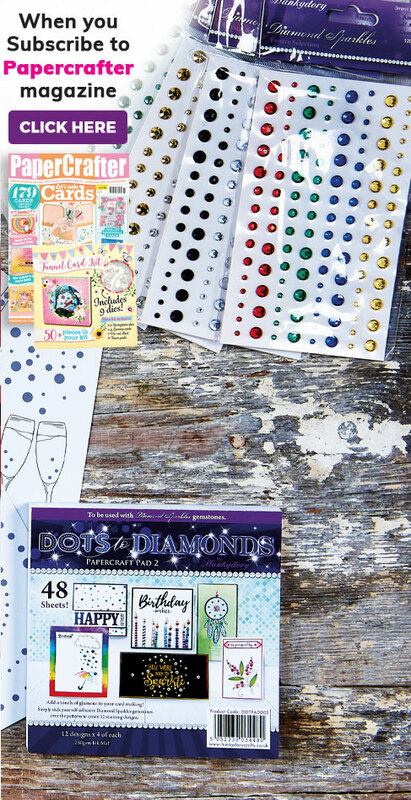 Apply Glossy Accents to the flower centres, add a scattering of pastel-coloured sequins, and even make your cardstock go further by including an acetate panel. To take it one step further, why not adhere a sprinkling of blue glitter to imitate water coming from the watering can? We’ve got lots more free digi stamps for you to enjoy.